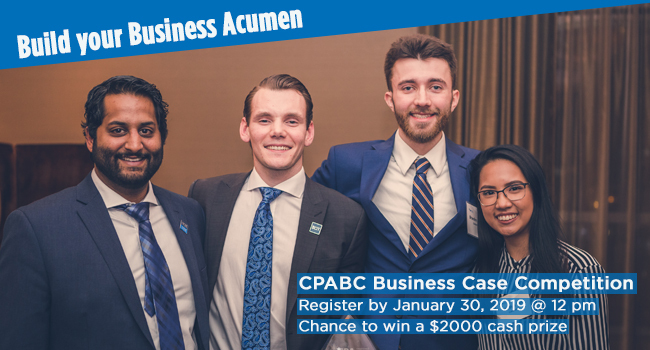 Enhance your skills in critical thinking, leadership, teamwork and communication at the CPABC Annual Business Case Competition! The top 8 teams will be invited to participate in a final round, including an evening reception with like-minded peers and BC business leaders. First place team will win a $2000 cash prize! Check out the Rules & Regulations for details and register your team by noon on Jan. 30, 2019 here.